SIOUX FALLS, S.D.—The South Dakota State women's basketball team advanced to its ninth The Summit League Championships title game after recording an 86-55 win over Oral Roberts Monday afternoon in the semifinal round at the Denny Sanford PREMIER Center. The Jackrabbits, who have now won 15-straight games, improved to 25-6. State had five players score in double figures, led by Macy Miller's game-high 18 points. Tagyn Larson added 15 points and a game-high eight rebounds while Myah Selland added 13 points and seven rebounds. Tylee Irwin finished with 11 points while Lindsey Theuninck posted career highs with 10 points and a game-high six assists. 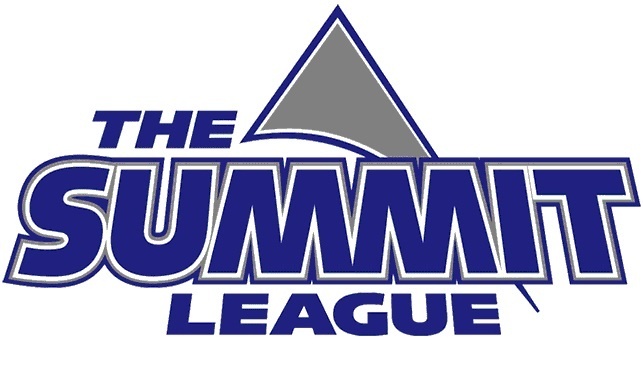 The Jacks will now play the University of South Dakota for the Summit League Championship. Four Coyotes reached double-figures as South Dakota came out victorious 84-61 over North Dakota in the Summit League Tournament semifinals on Monday inside the Denny Sanford PREMIER Center. South Dakota (28-4) heads to the Summit League Tournament's championship game for the sixth time in seven years of eligibility. It will be the fifth time the Coyotes will meet South Dakota State (25-6) in the tournament final. Both teams were receiving votes in today's Associated Press Top 25 poll. Senior guard Allison Arens and junior guard Ciara Duffy both finished with 17 points in the contest. Junior forward Taylor Frederick added 15 more and junior guard Madison McKeever was the fourth Coyote in double-figures with 10 points.